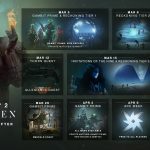 A new ViDoc from Bungie details the upcoming Season of the Drifter content for Destiny 2 and Destiny 2: Forsaken that will be live from March 5 to May 6, 2019. 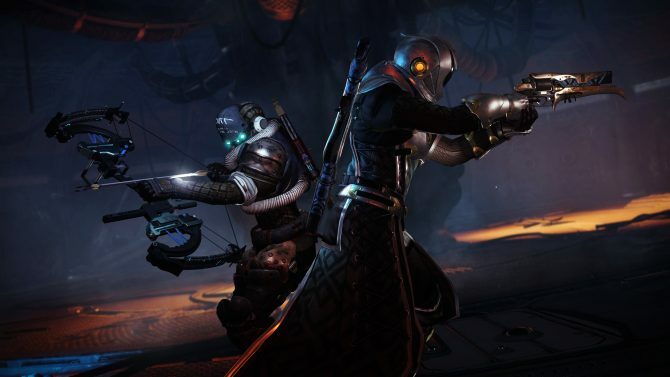 For those who haven’t already reached 640 Power should have no worries, as Bungie will be adding Power Surge Bounties which allow players who have fallen behind the grind to easily reach 640 Power within the first hour or two of gameplay. Season of the Drifter focuses on the Drifter and The Nine, who are working together for purposes that are not clear to the Guardians. Despite this you will be undertaking missions for the Drifter for that sweet, sweet loot. 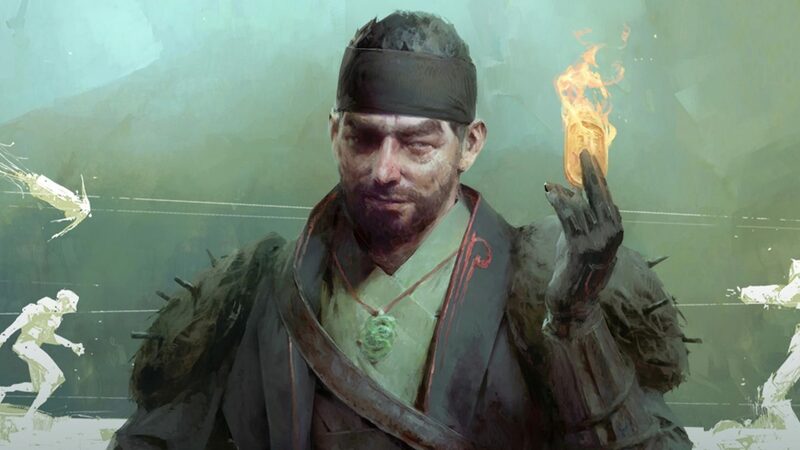 The main draw of Season of the Drifter will be rotating between Gambit Prime and Reckoning. 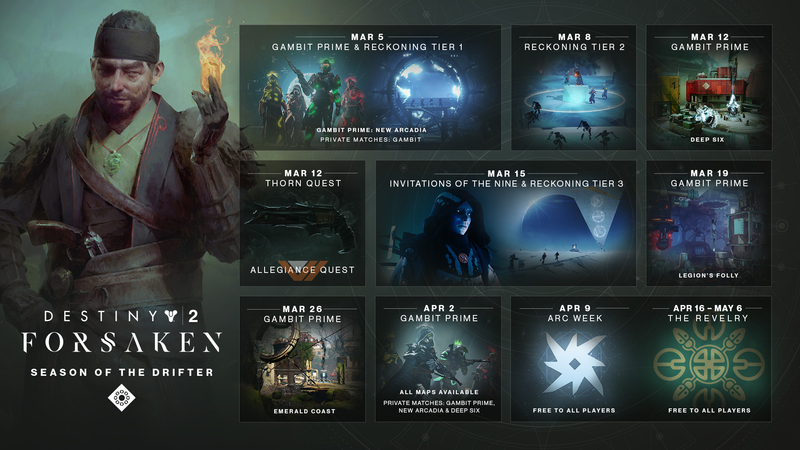 Gambit Prime is an advanced version of the PvEvP Gambit mode and players can even run private matches for the mode. Bungie is hoping to emphasize roles within Gambit Prime with new armors sets for each role: Reaper, Collector, Sentry, and Invader. Each armor set also comes with The Drifter’s snake decal and a color depending on the specific role. This will allow you to both show off and identify other roles, whether on the enemy team or your own. These roles will also be required due to the introduction of new bosses that will require cooperation similar to the Raids. Two new maps: New Arcadia on Mars and Deep Six on Titan, will be introduced to the Gambit Prime mode rotation. 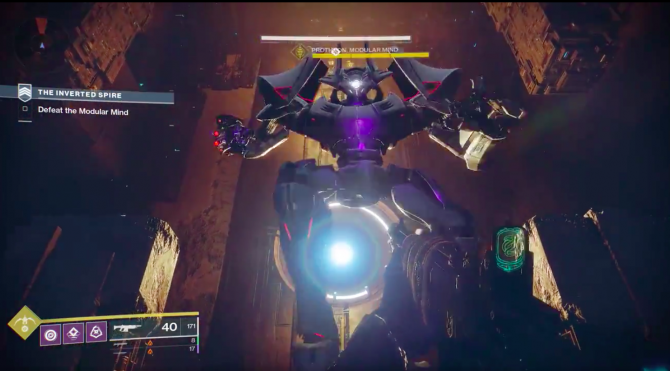 Upon completing your first Gambit Prime match you will open up The Reckoning, a new PvE mode that adds even more challenges to teams of players and rewards you with loot specifically for Gambit Prime. 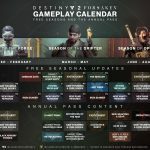 The Reckoning takes place on a new map said to be taking place within The Drifter’s ball and appears to be a collection of floating platforms. Also included in the Season of the Drifter for Destiny 2 are new Jokers Wild quests, new Xur bounties, and more Triumphs & Collections. 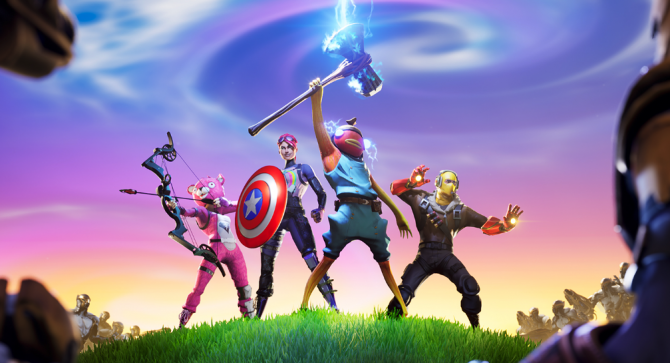 New weapons being introduced include a new hand cannon, sniper, and grenade launcher. 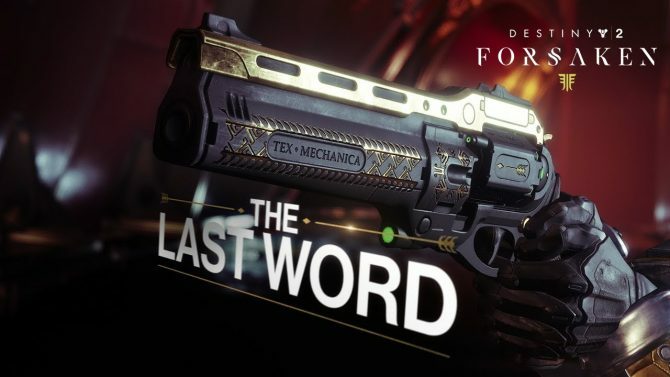 There is also Thorn, which was previously teased after The Last Word was dropped into Destiny 2. 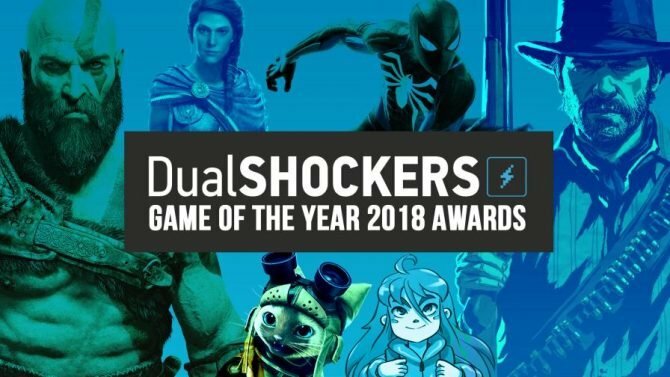 This is also the newest batch of content dropping after it was announced that Activision and Bungie would be splitting, with Bungie retaining IP rights to the Destiny franchise. You can watch Bungie discuss everything in Season of the Drifter in the video below, as well as glance over some of the details laid out in their handy image guides. 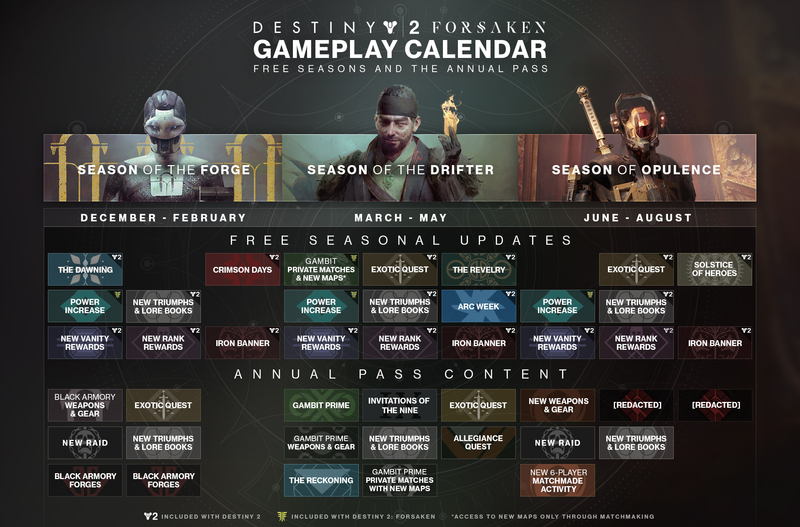 Season of the Drifter content does require purchasing the Annual Pass to Destiny 2, currently available for $34.99 and will also give you access to the upcoming Penumbra: Season of the [redacted] which is set to drop sometime this summer and introduce an all-new raid.